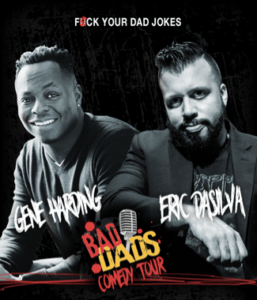 From the party city of Miami and the mean streets of New York City, national headlining comedians Gene Harding and Eric DaSilva have been seen on tv and comedy festivals across the country. Together they deliver the perfect combination of reckless likability and brutal honesty, that makes these guys as funny as they are memorable. Whether you’re a parent, an uncle, aunt or just someone who’s great at using contraception, save the date, get a sitter and make uber your designated driver. 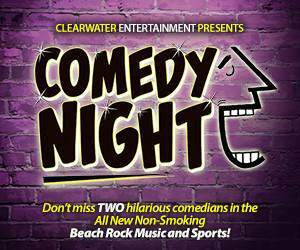 Because when you want to have a great night of comedy, you gotta hang out with the bad dads.